Are You Australia’s Biggest Social Geek? 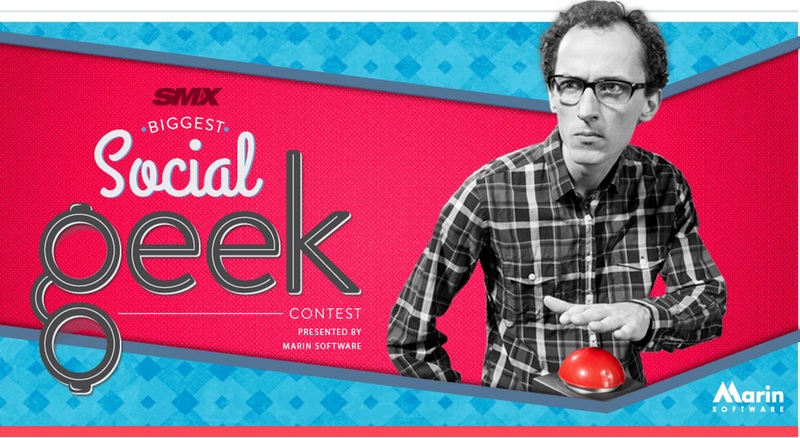 Marin Software has launched the inaugural SMX Biggest Social Geek Contest. Biggest Social Geek is a thought-provoking and challenging quiz-based contest where the world’s brightest digital media marketers compete to outsmart fellow industry geeks. Over 2,500 digital marketers across the globe competed in last year’s sister contest, “SMX Biggest Search Geek,” which took place in November 2013. The contest is open to contestants in the United States, United Kingdom, Canada, France, Germany and Australia and will run until October 31, 2014. The 2014 contestant with the highest score in the shortest amount of time will win the grand prize — a flight and hotel accommodations for two to SMX Social, in Las Vegas, Nevada on November 18-20, 2014. The winner will be presented with an award on stage by Marin Software’s CMO, Matt Ackley. The winner will also receive their choice between an Apple iPad Mini, Sony PlayStation 4, or an Xbox One. Regional winners will receive their choice between an iPad, PlayStation 4, or an Xbox One. The top fifty finishers will receive a free Social Geek t-shirt as well as a listing on Marin Software’s website. All winners receive a Biggest Search Geek badge suitable for displaying on their website.